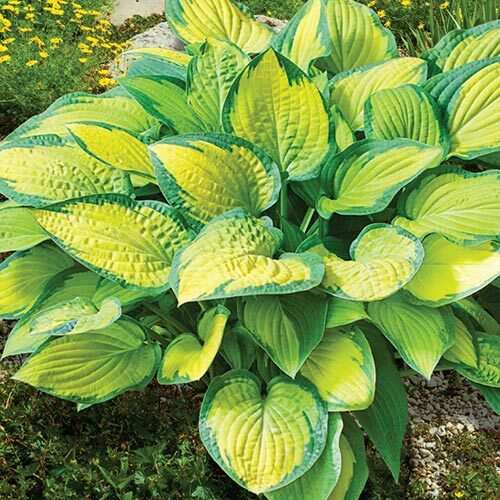 If your shady spots need more pop, Breck's Exotic Colour Hosta Collection is the perfect solution. And there's even more to these shade superstars than meets the eye. 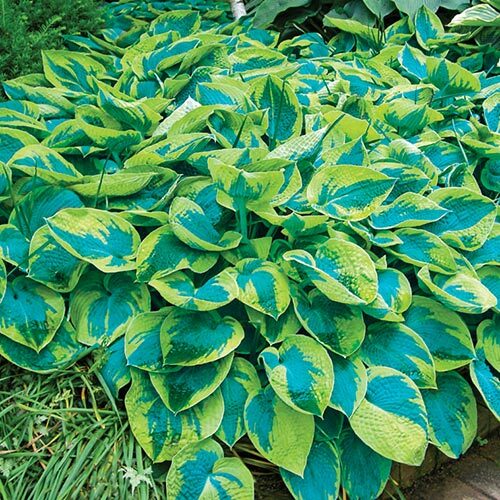 Versatile and easygoing, hostas thrive in most planting zones, require little care and fit in just about anywhere—including under a tree, in containers or along a wooded path. 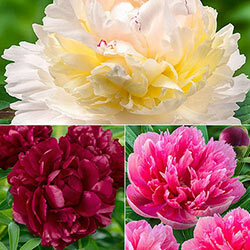 Their ample leaves are perfect for hiding withering bulb foliage and enhancing cut bouquets. And their tall flower scapes in midsummer provide added dimension and colour. 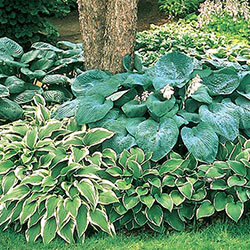 When it comes to listing the best plants for shade, hosta has to be at the top! 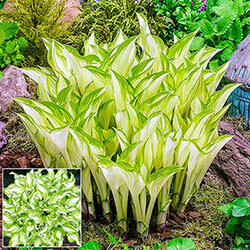 The hardy hosta is known for its broad, ribbed foliage that thrives in the shade. 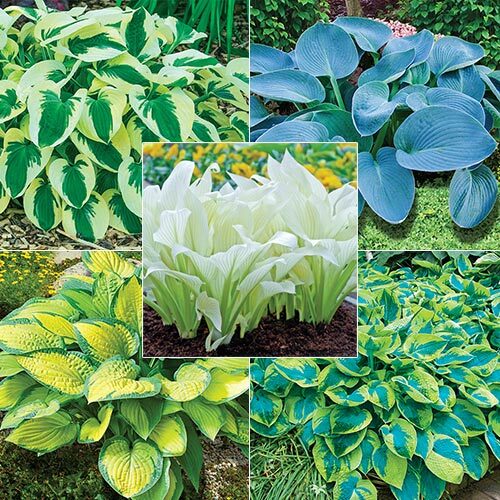 And our newest collection offers hosta lovers an exciting alternative to ordinary cultivars—with bold colour combinations and incredible shapes and textures. 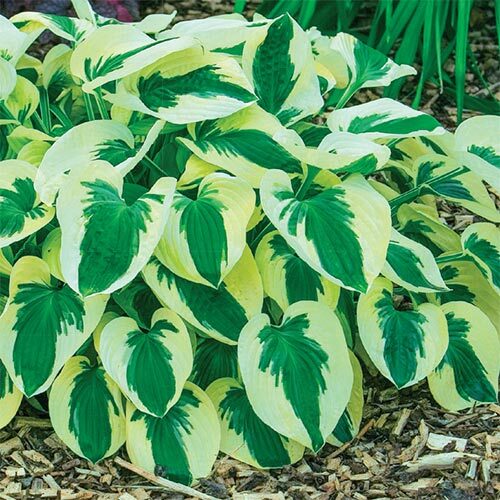 Brim Cup: Heart-shaped, cupped leaves have mid green middles and a prominent creamy lime margin that makes it pop against surrounding foliage and flowers in the border. Lavender flowers appear in midsummer. 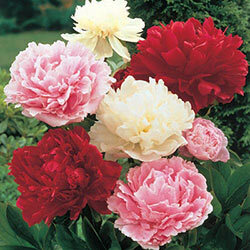 Compact foliage grows to 30–35 cm with 50 cm flower scapes. Buckshaw Blue: This deep blue beauty makes an electrifying addition to shade plantings. 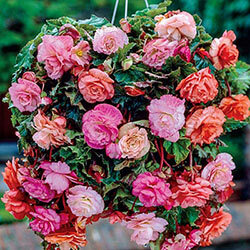 Leaves are relatively small at 11–15 cm, and ideal for a patio pot. They're also heavily textured for greater resistance to slugs and snails. Joined by bellshaped, white flowers in early to midsummer. 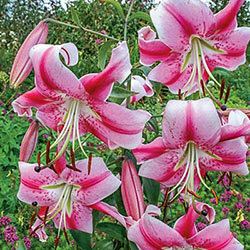 Grows 40–45 cm tall with 46 cm flower scapes. 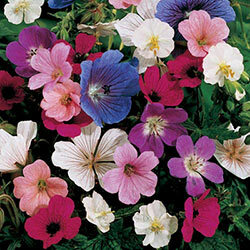 Paul's Glory: In spring, these award-winning leaves boast blue-green margins and chartreuse centres. 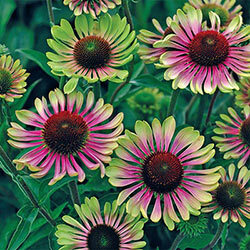 In summer, they transform—turning an equally stunning dark green, with bright golden centres. 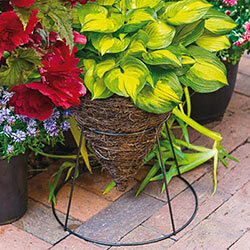 The perfect companion planting to astilbe and ferns. 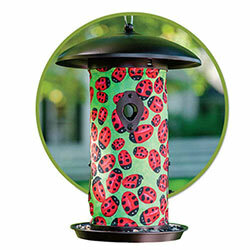 Resistant to slugs, thanks to the corrugated leaves. 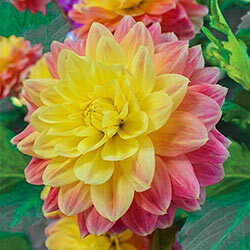 Grows 60 cm tall, with 100 cm flower scapes that produce pale lavender blooms in early to midsummer. 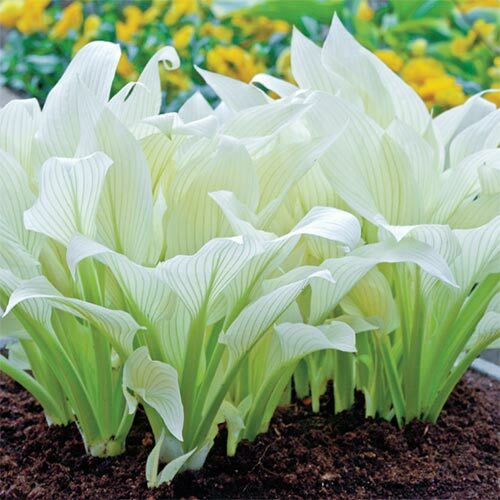 White Feather: A fascinating, full-shade hosta that is truly magical. Unique white leaves are a welcoming surprise as they emerge in spring. As it matures, the leaves transform into a blend of green and cream. Lavender flowers illuminate your garden in midsummer. 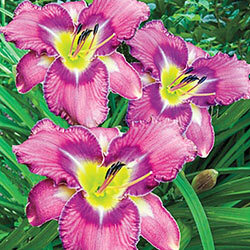 Grows 45–50 cm tall with 60–70 cm flower scapes. Tokudama Flavocircinalis: Truly impressive! 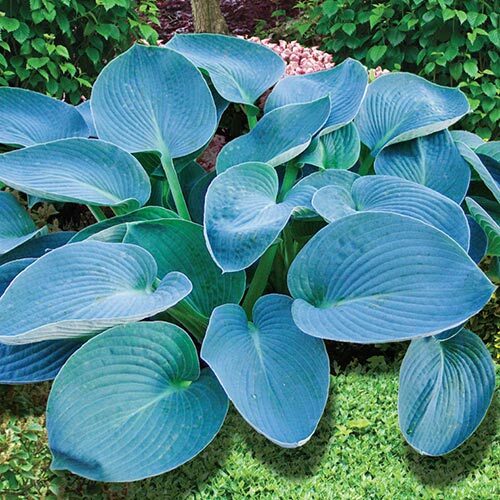 Frosty blue leaves with a wide chartreuse margin are nearly round and no less than 22 cm in size. Thick, corrugated foliage stays up off the ground—keeping it safe from slugs. 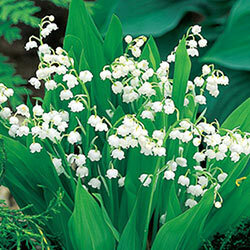 Trumpet-shaped blooms appear midsummer on elegant, 90 cm scapes. Foliage is 45-50 cm tall at maturity. The White Feather and two others did not grow, the two that did, they grew big and gorgeous.